ONE DAY ONLY! ALL GAMES MUST GO! 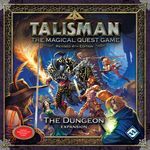 This auction is a follow up to the previous Rollins College GAME Club auction that recently closed. We still have a few more games to get rid of to reach our goal of 10 good games to rotate in and out every week or so. This auction is open as soon as this Geeklist is posted. It will close on the evening of Friday, October 4th at an undisclosed time of my choosing. This will prevent sniping. 4. Shipping is from ZIP code 32789. Buyer is responsible for all shipping charges. Due to the nature of our on-campus post office, all games will need to ship Priority Mail Flat Rate Box unless multiple games are won. Combined shipping will be available for winning multiple items. In that case, games will likely be shipped via UPS to take advantage of their generally better rates for large packages. 5. Local pickup is allowed if you wish to utilize this option. Please just let me know with a Geekmail after you win the item. You can meet me or one of our club representatives at one of the dorms or a mutually agreed upon public location. Played a few times, but is still in great condition. All parts and pieces included. Shipping will be $11.30 flat rate. Opened and punched, but unplayed. 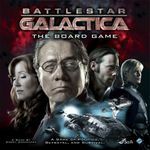 Just never got around to incorporating this into our BSG base set. All parts and pieces included in mint condition. Please add $11.30 for shipping by flat rate box. Only played once. All parts and pieces included. Please add $11.30 for flat rate shipping. 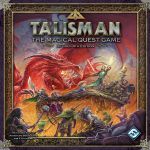 PLEASE NOTE: Talisman can optionally be purchased as a set by placing a Buy it Now order for the base game and both expansions we have. 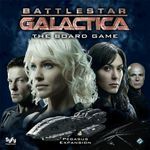 If you elect to choose this option, we can incorporate all elements of both expansions into the base game box and ship with just the base game box. 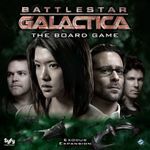 This will save you a lot on shipping and you won't be cluttered with extra game boxes you don't need. Just let me know if you want us to do this. Only played once. All parts and pieces included. Please add $5.50 for flat rate shipping. Opened and punched, but unplayed. All parts and pieces included and in pristine condition. Please add $17.00 for shipping via UPS (with insurance). Very good condition. All components and pieces included. Please add $11.30 for shipping. Very good condition. All components and pieces included. Please add $5.50 for shipping. Very good condition. All components and pieces included. Please add $8.00 for shipping. Comes in a square box. Looks to be a relatively recent edition. All parts and pieces included. Please add $11.30 for shipping.